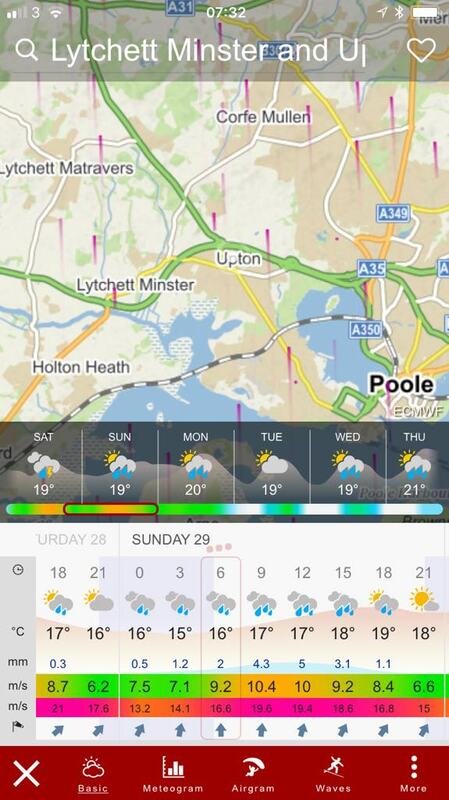 We have taken the decision to CANCEL the Poole Wheelers Harold Cribb Memorial 25 Open Time Trial scheduled for Sunday 29th July, due to the severe wind and rain forecast. We never take these decisions lightly, though the safety of riders is paramount and early notice will ensure people do not travel needlessly. Thank you to everyone who has volunteered to help out with the event and our apologies for any inconvenience. We will be looking at options to reschedule the event later on in the year. Salisbury, SP5 3QR. 07866 447210. If you prefer, you can download the start sheet (Word) and riders list (Excel) [updated 13th May] as individual files. 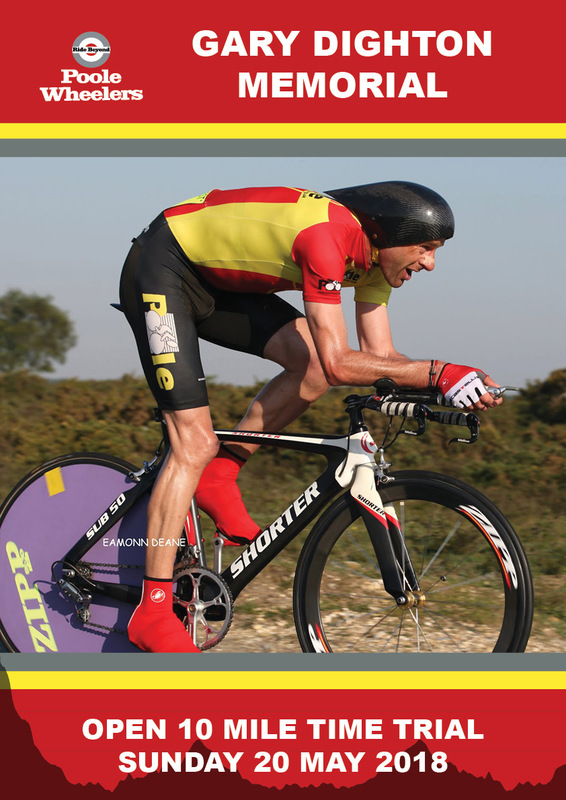 This time trial is the Poole Wheelers Gary Dighton Memorial race. Gary Dighton (1968-2015) was a prolific cyclist and highly successful on the British time trial scene during the 1990s. In 1990 he won the British Best All-Rounder with an average speed of 26.216mph, he broke the competition record for the 25-mile time trial in 1991 with a time of 48.07, and rode in the team time trial at the Barcelona Olympics in 1992. He was a close friend of people in the club and joined Poole Wheelers in 2010 after a 12-year retirement. At the entrance to the Ryvita Factory on Old Wareham Road approximately 300 yards east of the roundabout at the junction with the A3049 (Dorset Way). Proceed west and take first exit at the roundabout then proceed along the A3049 via Fleetsbridge Flyover to Holes Bay Roundabout where take second exit (straight on) along the A35 to the Bakers Arms Roundabout. Circle and retrace along the A35 and A3049 to FINISH before the white footbridge over the A3049 near the slip road to Canford Heath. TAKE CARE WHEN APPROACHING THE DORSET WAY ROUNDABOUT WHICH HAS A FAST DOWNHILL APPROACH – GIVE WAY TO TRAFFIC ON THE ROUNDABOUT OR APPROACHING FROM THE RIGHT. WHEN APPROACHING BAKERS ARMS RBT, COMPETITORS MUST KEEP TO THE LEFT UNTIL THEY HAVE PASSED THE LEFT HAND “REDUCE SPEED NOW” SIGN. NOTE THAT THERE ARE EMERGENCY TRAFFIC LIGHTS AT HOLES BAY WHICH MUST BE OBEYED – AN OBSERVER MAY BE IN ATTENDANCE. DO NOT STOP AT THE FINISH BUT RETURN TO RACE HQ. Strava segment of the course below, and Poole Wheelers club records for the course are on our results page. Parking: all vehicles must be parked at the event headquarters or there is limited parking at the industrial estate just before the start. Please remember that this is a residential area so PLEASE KEEP THE NOISE DOWN. Allow enough time to get to the start as it is all uphill, remembering to continue past the start to turn at Newtown Roundabout, no U turns in the vicinity of the start please and strictly no parking in the vicinity of the start or finish. Riders must not stop or park in the Ryvita Factory entrance car park. Numbers and signing on will be at the HQ, numbers can be exchanged at the HQ for a drink. RIDERS ARE REMINDED THAT THEY MUST NOW SIGN OFF AFTER THE EVENT AS WELL AS SIGNING ON THIS IS A NEW CTT REGULATION. Observers may be in attendance along the course. 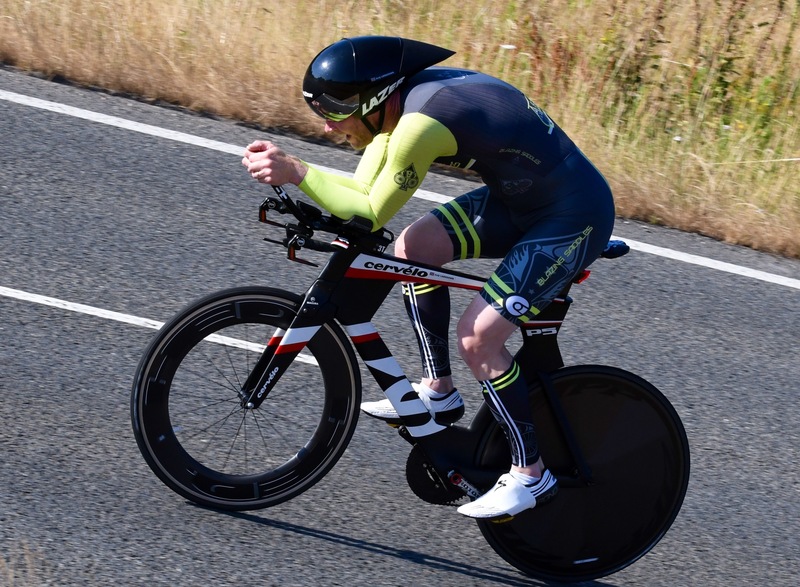 IN THE INTERESTS OF YOU OWN SAFETY CYCLING TIME TRIALS STRONGLY ADVISE YOU TO WEAR A HARD SHELL HELMET THAT MEETS INTERNATIONAL SAFETY STANDARDS. IT IS RECOMMENDED THAT A WORKING REAR LIGHT, EITHER FLASHING OR CONSTANT, IS FITTED. HEADS UP – ACCIDENTS DOWN!!!!!!! 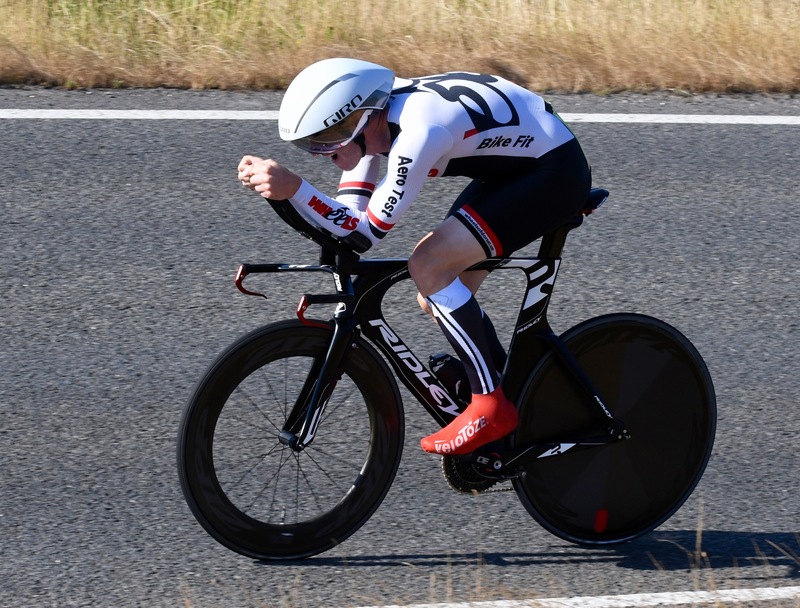 Promoted for and on behalf of Cycling Time Trials under their rules and regulations. Below are the TT events that have been confirmed for the 2018 season. Please keep an eye on our events section for details about all upcoming Poole Wheelers events. You can also download the information in Excel format. EVENT HEADQUARTERS: UNIT B2 ADMIRALTY PARK, STATION ROAD, HOLTON HEATH BH16 6HX. From Bakers Arms Roundabout on A35 take the A351 towards Wareham, straight on at the first rbt then LEFT at the next set of traffic lights into Station Road. HQ is approximately a quarter of a mile down Station Road on the left (1st Gateway). HQ OS SY943909. Numbers and signing on will be at the HQ, parking, refreshments and toilets will be at the HQ. Numbers can be exchanged for a drink at the HQ. The start is approximately 1.5 miles from the HQ – right out of HQ, straight on at traffic lights then via Organford to the crossroads at the A35 (take care crossing the A35 please). START: at drain cover in acceleration lane to A35 85 yards east of Pikes Farm Junction (OS939931). Proceed on the A35 to Bakers Arms Roundabout (1.02m) where straight on along A35 to TURN at Holes Bay Rbt (4.59m). CIRCLE and retrace to TURN at Bakers Arms Rbt (8.18m) Circle and retrace to Holes Bay Rbt (11.81m) circle and retrace to Bakers Arms Rbt (15.40m) circle and retrace to Holes Bay Rbt (19.03m) circle and retrace to Bakers Arms rbt (22.61m) where take first left on A351 to TURN at Holton Heath Rbt (23.58m) ONLY ONCE AFTER FINAL LAP – circle and retrace to Bakers Arms Rbt where left on A35 then shortly left again to Organford to FINISH at electricity sub station (OS947925). Return to HQ approximately 1.5 miles: straight on after the finish then left at Organford T junction and then straight on at the traffic lights to HQ onm the left. When approaching the Bakers Arms Roundabout competitors must keep to the left until they have passed the Left Hand ‘Reduce Speed Now’ sign. There are emergency traffic lights at Holes Bay Roundabout for the fire Station. Marshals have been told to take rider numbers for disqualification if the lights are ignored. Riders attention is drawn to CTT regulations particularly 14, 15, 17, 18, 19, 20 and 21. Oberservers may be in attendance along the course. RIDERS ARE REMINDED THAT THEY NEED TO SIGN OUT OF THE EVENT AS WELL AS SIGNING IN. 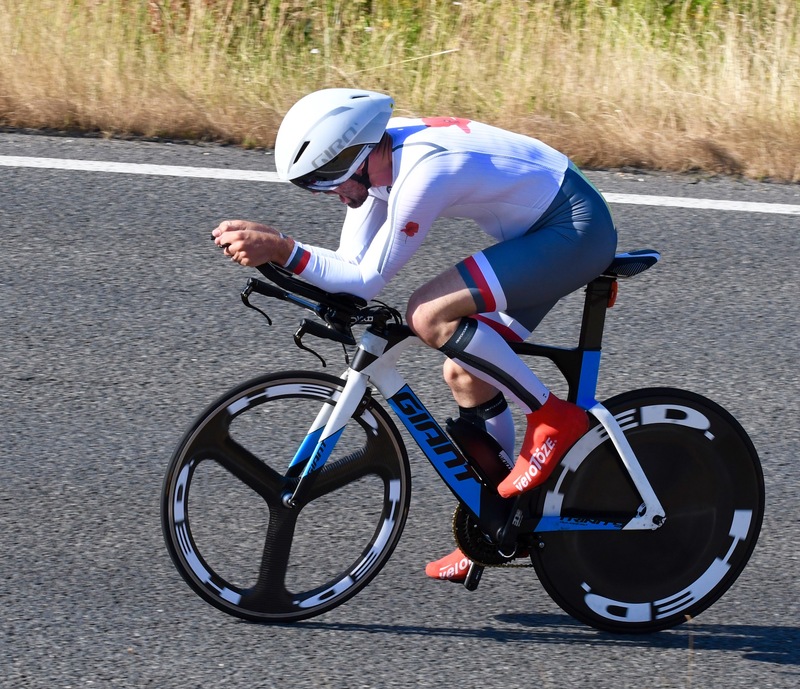 IN THE INTERESTS OF YOUR OWN SAFETY CYCLING TIME TRIALS STRONGLY ADVISE YOU TO WEAR A HARD SHELL HELMET THAT MEETS INTERNATIONAL SAFETY STANDARDS. IT IS RECOMMENDED THAT A WORKING REAR LIGHT, EITHER CONSTANT OR FLASHING, IS FITTED. 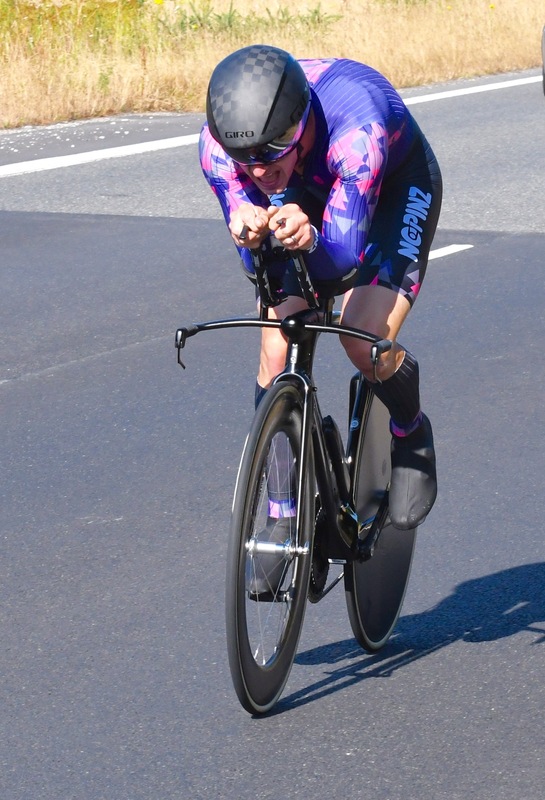 This is a reminder for everyone to sign up to the Poole Wheelers Harold Cribb Memorial Open Time Trial on Sunday 30th July. 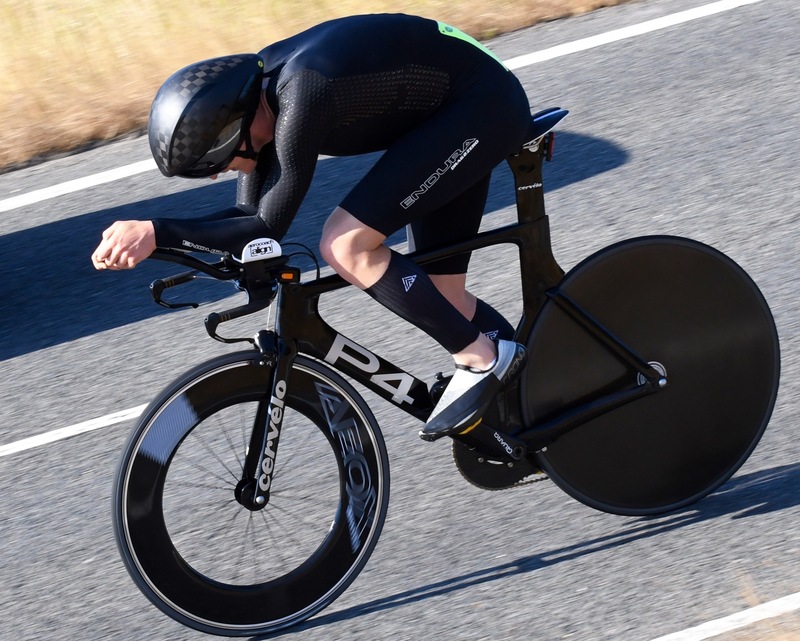 This is a 25 mile open time trial on the fast P413/25 course, starting at 07:00 (7:00am). This is an Open event and you therefore must sign up via the CTT website in advance: individual entries, tandem entries. Deadline for signing on is Tuesday 18th July! Please do not try to sign on in comments below on this one, since it is an Open event we can only take official CTT entries. We are always looking for volunteers to help marshal our events. If you are able to help out with this event, please let us know in the comments below or email Ros Spencer. Harold Cribb joined Poole Wheelers just after it was formed in the 1920s and remained a central figure in the club until his death in 1988. He was the club President during 1948-1949 and 1976-1986. Strava segment of the course below, and club records for the course are on our results page. Results from today’s Open TT on the super fast P415/10 ski slope course. Ratified results will be available on the Poole Wheelers results database in due course. Fastest mens cat was David Janes with an impressive 19:00! Well done to all the riders! Thanks to Craig Weston for organising, to all the time-keepers / starters / recorders, to all the marshals, and all the other volunteers who helped out! Photo of David above courtesy of John Pick. He has posted more on our Facebook group, please ask for his permission before using. If you prefer, you can download the riders list (Excel) as an individual file. 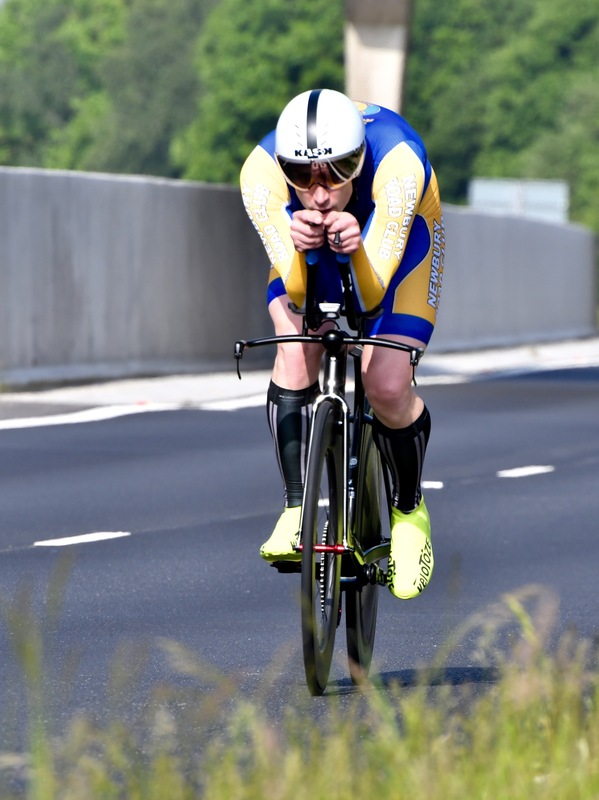 This is a reminder for everyone to sign up to the Poole Wheelers ‘Ski slope’ Open Time Trial on possibly the fastest course in Dorset on Sunday 9th July. This is a 10 mile open time trial on the super fast P415/10 Ski Slope / Ryvita factory course, starting at 07:00 (7:00am). Last Poole Wheelers event on this course there was one sub-19 and three sub-20! This is an Open event and you therefore must sign up via the CTT website in advance: individual entries, tandem entries. Deadline for signing on is Tuesday 27th June! Head Quarter is at Cuddles Day Nursery, Canford Heath. All tea equipment supplied. We are always looking for volunteers to help marshal our events. If you are able to help out with this event, please let us know in the comments below or email Craig Weston or Ros Spencer.